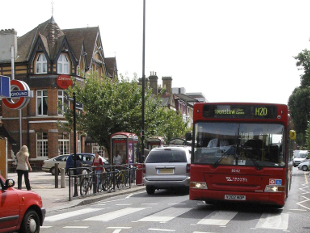 At a meeting of the Cabinet last night (12 February 2019), Hounslow councillors voted unanimously to approve the council’s new Local Implementation Plan (LIP) which sets out how the borough proposes to implement the Mayor of London’s Transport Strategy (MTS) in the area until 2041, as well as contributing to the other local and sub-regional goals. The plan is a statutory requirement summarising the council’s objectives in developing the borough’s transport network over the coming 20 years, setting targets for those objectives and outlining the schemes and projects needed to achieve them. The LIP is the means by which the council secures funding from Transport for London (TfL) for transport and road safety projects; and a requirement to secure future funding. The overarching aim of the Mayor’s Transport Strategy is for 80% of all trips in London to be made on foot, by cycle or using public transport by 2041, compared to 63% today. The MTS also sets an ambitious target for reducing the number of people killed and seriously injured on the roads to zero by 2041. Public consultation on the Local Implementation Plan started on the 5 November 2018 and closed on the 2 January 2019. Comments received from statutory consultees such as neighbouring borough councils, the Environment Agency, Natural England, Transport for London and the MET Police were reviewed and the LIP was revised where appropriate. Of the responses received from the public, there was a high degree of support for several initiatives such as the new rail link between Heathrow and Southall. Concerns were raised over some aspects of the plan, including; the amount of development in the borough and the pressures on road and public transport networks. While plans for the CS9 polarised opinion in the survey, with approximately the same number of responses for and against its introduction, there was strong support for an improved, segregated cycle network that includes destination facilities such as lockers and secure cycle parking. Concerns were raised over the lack of bus routes to destinations such as Heathrow Airport, schools and local hospitals. The LIP identifies orbital and cross borough routes as one of the biggest challenges faced in the borough and the council is committed to working with TfL to enhance public transport, particularly for the thousands of residents who work at Heathrow, and will be lobbying for a new Heathrow Southern Rail access and additional bus services to the airport from the south. Now that the delivery plan has been approved, it will be implemented by the Traffic, Transport and Environmental Strategy Service. “I'm delighted to be able to present this new transport strategy for Hounslow 2019-2041. Some great work has been completed in the period covered by the last transport strategy and the council has demonstrated a strong track record in delivering active travel and other innovative transport schemes. This includes being the first London borough to trial lamppost style electric vehicle chargers and implementing on and off-road cycle routes, as well as those along major roads such as the A315 and a network of greenway routes. “The new Local Implementation Plan outlines ever more ambitious plans which this administration is committed to achieving. We are committed to tackling air pollution and this new strategy refocuses our efforts on dealing with the problem at source. Our strategy outlines support for electric cars through providing more charging points in the borough, a focus on creating a high-quality network of bike lanes to encourage people to leave their cars behind for local trips, and an improvement to the strategic walking network such as the Thames Path and Capital Ring to get people out walking for leisure. There will also be more investment in removing barriers to mobility, improving bus reliability and delivering our aspirations for new rail links at Brentford and Bedfont. Additionally we will deliver our ambitious pledge for 5,000 new homes in the borough, in a sustainable way.